Sooner or later, computers or any device on your business network is going to hit a roadblock. This could be a software or hardware malfunction, or even something more abstract: a server problem. These issues are going cause undesired cost besides the computer services fees that are usually underestimated when hiring a flat rate help desk service. The IT (information technology) help desk’s primary function is creating a centralized resource where users can address the inevitable hiccups in the computing world. IT Help Desk service providers like Telx Computers usually offers communications channels like tickets system, email, live chat, remote support or even onsite support at fixed rates for businesses. Just as much as the outsourced IT help desk serves to rectify issues as they arise, it also attempts to prevent potential issues by providing a proactive technical support including: software upgrades, network support, preventive maintenance, device performance monitoring and business scaling like large projects, moving, vacations, training, special events and more. The per-device pricing model is fairly simple and many MSPs utilize it primarily for this reason. The premise is to develop a flat fee for each type of device that is supported in a customer environment. The tiered pricing model may be the most popular among MSPs. The premise is to build several bundled packages of services with each increasingly more expensive package providing more services to the customer. The all-you-can-eat pricing model is extremely flexible and includes all remote support, on-site support and lab or bench time for an entire organization for a flat fee per month. It also may provide 24/7/365 support or services during certain hours and/or days of the month only with additional charges billed for services rendered outside of those times. Managed IT services, provides small and medium-sized business the peace of mind needed to grow, freeing business owners from worrying about the expense of repairing a network, routers, PBX or laptop. No matter how costly the resolution to a IT-based problem is, you still will pay only a flat monthly fee even if you decide on a Full time or outsourced support plan. Flat rated computer services plans or membership allows what would normally be a capital expense, to become an affordable operational expense. Fixed rate help desk providers not only eliminate the surprise factor related to system down cost but also provide the support to scale the business, with fixed budget any business can plan expansion in the medium or long term. Sometimes, users simply forget their passwords. Service desks that take phone requests have the burden of determining whether the person asking for a reset is actually the authorized user, or someone trying to game their way into the system. Password resets by a self-service portal can save time and help prevent social engineering breaches. Some organizations require the IT help desk to be in charge of printer supplies to help reduce expenses. When new employees need access to a network printer, they are often granted access via the IT help desk, which will install the printer drivers on their computer. Software updates, such as Java – can be impertinent – requiring an individual with administrative access to install the updates. The move to cloud-based service desk software helps cut down on these calls, because updates are automatic. When a network is stretched too thin – such as multiple sites or across state-lines, there can be variation in access speeds, especially if there is heavy cloud-based application use. Network upgrades temporarily slow the network in exchange to a faster network once the installation is complete. Where did my documents go? When documents suddenly “disappear”, users can freak out. Because documents can be stored remotely, it is incumbent upon the user to save a local copy. However, when an organization changes hardware or applications, it is important that users are informed how to access their new environment. With most devices being on all the time, it can be surprising when computers freeze. End-users may jump to conclusions and submit an IT ticket, when all that was needed was a simple restart. In the rarity of a hardware failure, the IT help desk can dispatch a technician to make the fix. I can’t access the network with my personal device. End-users are increasingly bringing their own devices (“BYOD”), to the workplace. Difficulties arise when the user’s device automatically updates a software service pack, and can no longer connect to their organization’s network. Addressing BYOD functionality is a hot topic in IT circles these days, and depends on the type of business and its security and mobility requirements. When your IT service desk is provided by Telx Computers, you can rest assured that your organization will have the best options for self-service portals, remote desktop access, and knowledge base that makes troubleshooting seamless. 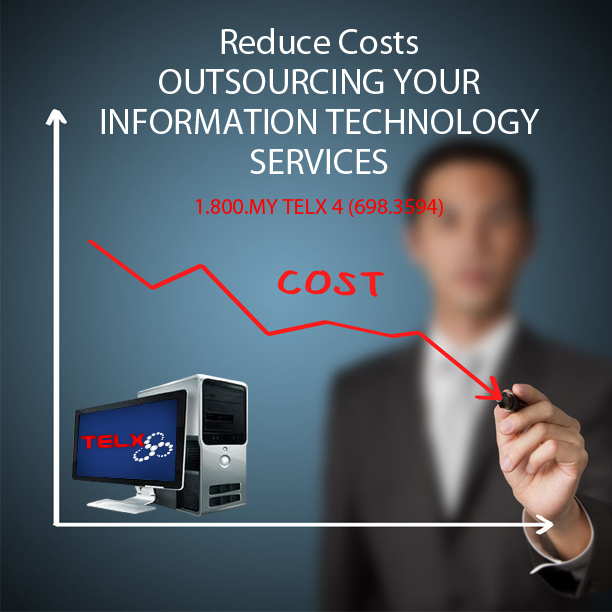 Increasing first call resolution is what Telx Computers believes in. Request a free network checkup to get an estimate of the different plans we can offer you.